When the Georgia General Assembly passed the Restrictive Covenant Act in 2009, it substantially changed the playing field between employers and employees. Under the common law, it was exceedingly difficult for employers to enforce anything but the most perfectly worded and narrowly tailored covenant. Cases repeatedly failed on the facial ambiguity or overbreadth of the covenant, leading to judicial invalidation. And the blue-pencil rule was not available to save overbroad (even slightly overbroad) contracts. But the new Act did not become effective until 2010 and only applies to contracts entered into after November 3, 2010. A great many employees and independent contractors signed agreements well before that, and their enforceability continues to be subject to the old common law. A recent district court summary judgment decision illustrates how strict this old common law actually is. The case involved a dispute in the credit-card merchant processing industry. This is a rapidly growing market where companies provide merchants - often, retailers - a wide range of credit-card processing services. Those services range from simple payment processing to mobile processing to "tokenization" (a fancy way of saying that the processing company will enable merchants to store credit card data safely and securely). (1) An in-term non-compete restriction that prohibited him, during the term of his relationship with the plaintiff, from entering into agreements to solicit merchants for the merchant-acquiring program of any bank or third-party financial institution, or from entering "into any relationship with any organization...that would effect an indirect relationship with any" organization. (2) A 5-year, post-termination non-solicitation restriction that prevented him from calling on the plaintiff's customers, regardless of whether he had a relationship with those customers. The district court had little trouble under Georgia common law striking down both clauses. 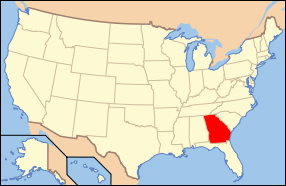 The ruling on the non-solicitation covenant was not much of a surprise, since Georgia law (like some other states) generally does not look favorably upon non-solicitation covenants that extend to customers the employee did not serve - particularly when there is no geographic restriction. And the 5-year term was well beyond the 2-year rule Georgia courts long have advocated. The more surprising aspect of the ruling is the fact the court struck down the in-term non-compete arrangement. It held the general rules pertaining to non-compete agreements apply, even though it did not prohibit any post-termination activity. In-term covenants rarely are litigated because in an at-will environment, employees (or, as here, independent contractors) simply terminate the relationship before leaving to compete. The court, though, struck the non-compete and held that its activity scope was unreasonable - mainly due to the quoted, italicized language above. The court found that the prohibition on the defendant from entering "into any relationship" with a bank was ambiguous and ill-defined. In reality, it didn't appear to be as broad as the court held. Rather, it seems the clear intent of the covenant was to prohibit the defendant from entering into a similar arrangement with another credit-card processor while he was soliciting merchants for the plaintiff. The language of the non-compete which the court deemed problematic only appeared to further restrict the plaintiff from circumventing this fairly clear covenant in a more indirect manner. Still, the ruling indicates that courts often are troubled by restrictive covenants and their impact on competition as a whole. I've written before about how judges sometimes will gloss over a contract's intent to find an ambiguity, even though it's questionable such an ambiguity exists. That seems to be what happened here as well.